When I was a young lad in some dim and distant past, rental apartment buildings were glamorous creatures. They were modern, had great views, lots of room and everything was included in the rent. Most had a sauna and outdoor pool. For gosh sakes they even had laundry facilities in the basement! Then in the 1970s, the practice of subsidizing tenants in rental apartments was a cheaper alternative to building public housing. Poor people flooded apartment buildings and with rising incomes, middle-income earners began to abandon rental housing. For the most part, rental apartments became the domain of the poor and were synonymous with shabby conditions and health issues. 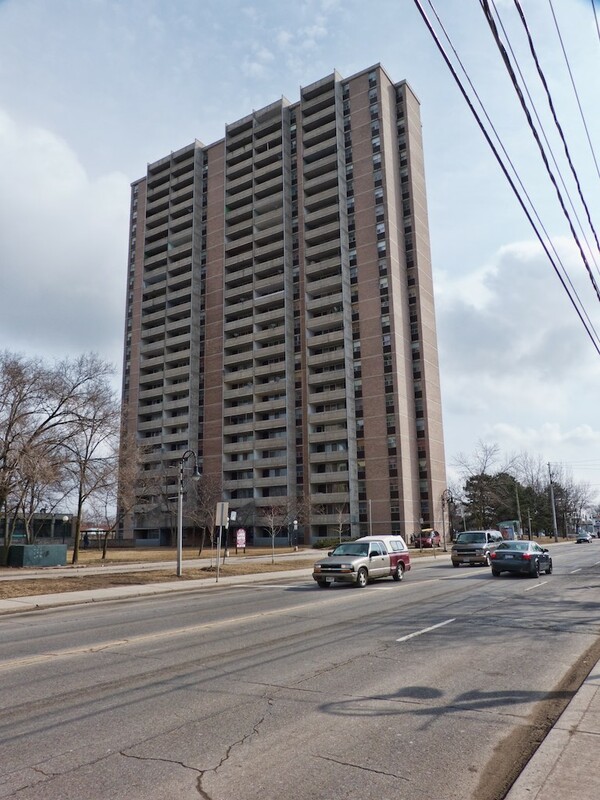 Conditions steadily deteriorated and ten years ago, in Weston, the two towers at 1765 and 1775 Weston Road were in atrocious condition and the subject of bitter complaints. The federal government stepped in with forgivable loans and millions were spent upgrading rental buildings. 1765 Weston Road pictured in 2012 (file). Nowadays, renting is the only option for many people in the current real-estate market. While conditions have improved, many buildings are poorly maintained and it is felt that legislation concerning these buildings needs an overhaul. The intended goal of the licensing framework is to build on the current Multi-Residential Apartment Building Audit Program by promoting best practices in building maintenance, strengthening enforcement of property standards violations, and improving tenant engagement and access to information. • submit their own recommendations for improving tenant living conditions. The meeting for our area will be held tomorrow, Wednesday, August 24: Etobicoke Civic Centre, 399 The West Mall, Meeting Room 1/2/3, 6:30 to 8:30 p.m. Previous Previous post: DineSafe Toronto: Weston / Mount Dennis restaurants are in good shape. Next Next post: Pop-up shops. Still a good idea for Weston / Mount Dennis.